Softballs and baseballs in closeout sale are a good way to acquire softballs and baseballs at economical prices and use them. They are of the same quality and deliver the same level of performance without an iota of difference and you save a lot of money. 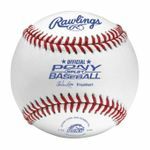 The brands include Rawlings High School Game Ball, Rawlings Senior League Baseball, Wilson A1030 Practice Balls, Wilson High School Game Ball, DeMarini Softball, Diamond Softball, Easton Training Ball and other brands. 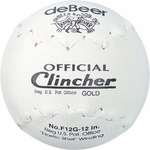 The DeMarini A9292B USS WB 11 inch Leather Softball comes with Flat Seam, synthetic leather with blue stitching. It has Poly Core Center with 47 Core and 525 Compression. 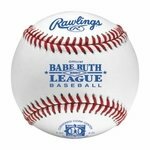 The A9382 USS WB 11 inch Synthetic Softball has .44 core, 525 Max compression. 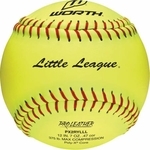 One among the softballs and baseballs is the Diamond Little League Minor League Safety Baseball is a level 5 game baseball suitable for ages of 7-8 years. 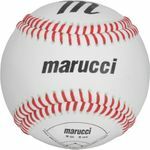 The Flexiball Core and synthetic cover absorb the majority of the impact thereby enhancing the safety aspect of the Diamond�s Safety Training Baseballs. This ball is the official Little League Safety Baseball and it meets all the NOCSAE standards. 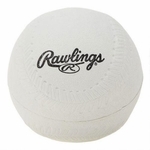 The Rawlings Senior League Baseball is made for competition grade performance. It is made of full grain leather cover and has raised seams. It has a composite cork center. 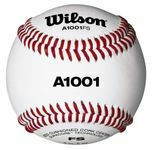 The Easton 16 inch Softstitch Training Ball A122309 is a unique nylon covered ball with authentic baseball-style stitching. 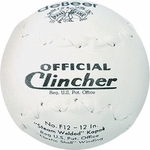 This ball is ideal for practice as it has reduced weight and cloth cover. 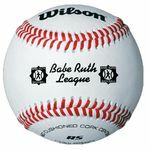 The Easton Induraball Leather Practice Baseball is the most durable baseball even in wet weather. 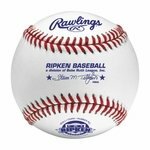 The core does not absorb water thereby avoiding the mess of waterlogged baseballs. Polyurethane is injected around cushioned cork center offering unmatched durability. The performance of this bat is equivalent to that of the top baseballs in the market. It comes with a genuine leather cover. It is available in regulation size and weight. 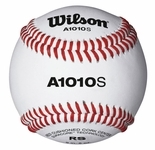 The Wilson A1030 practice Baseballs are official High School practice and Youth League game balls. They come with Grade C Full Grain Leather, Gray Wool Windings and Red Cushioned Cork Center. 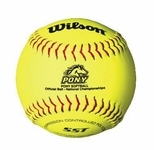 Pamper yourself with the choicest softballs and baseballs at great discounts.